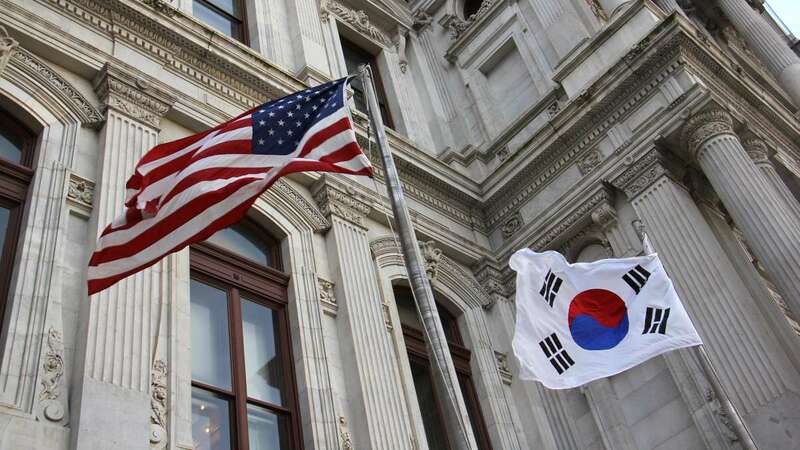 The flag of the Republic of Korea rose beside the American flag at Philadelphia City Hall Friday morning in honor of Korean American Day. 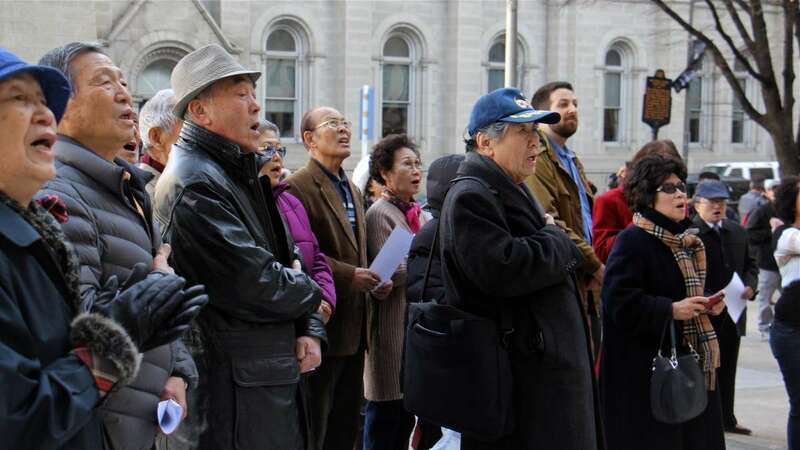 The celebration marks the date 113 years ago when the first Korean immigrants to the United States arrived in Hawaii. 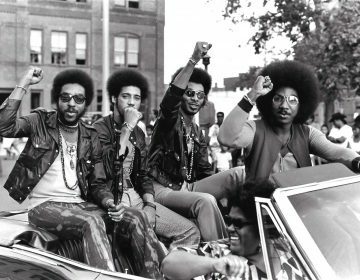 There were 102 Koreans in that group. 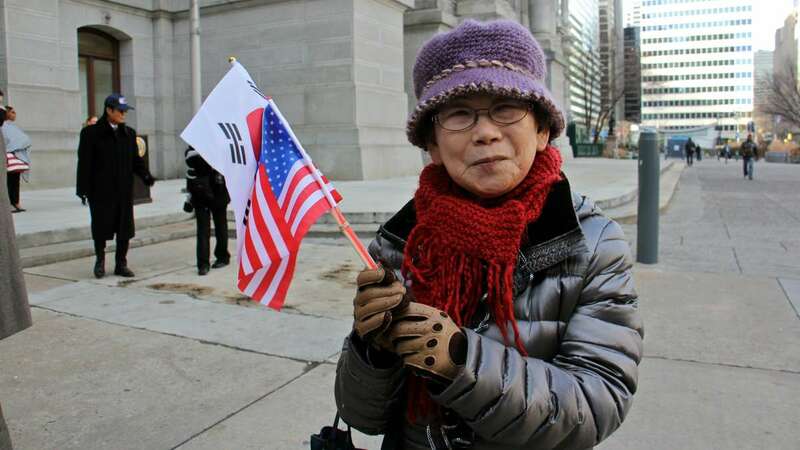 Since then, the Korean-American population has grown to about 1.7 million with about 50,000 in Pennsylvania. 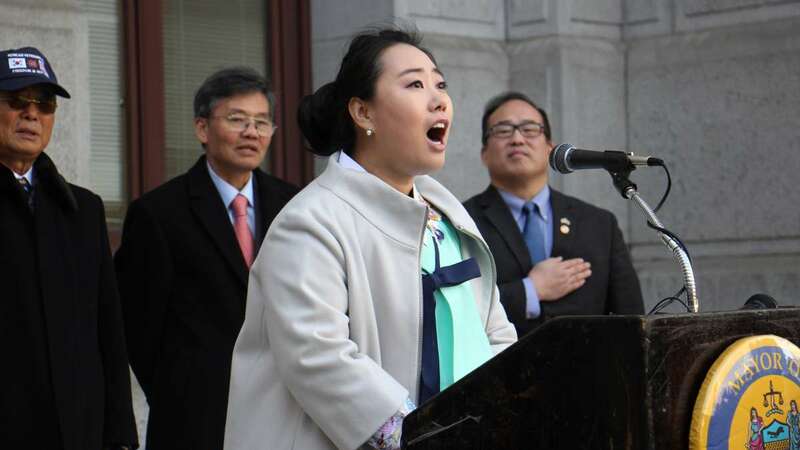 Ji Hyun Choe of the Society of Young Korean Americans sang “The Star-Spangled Banner” and then the national anthem of the Republic of Korea as the flag was raised. 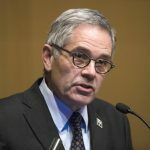 The group of about 50 continued the celebration inside City Hall, where a third-floor hallway was converted into a dining hall for serving a Korean meal. 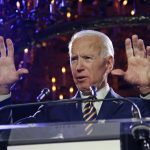 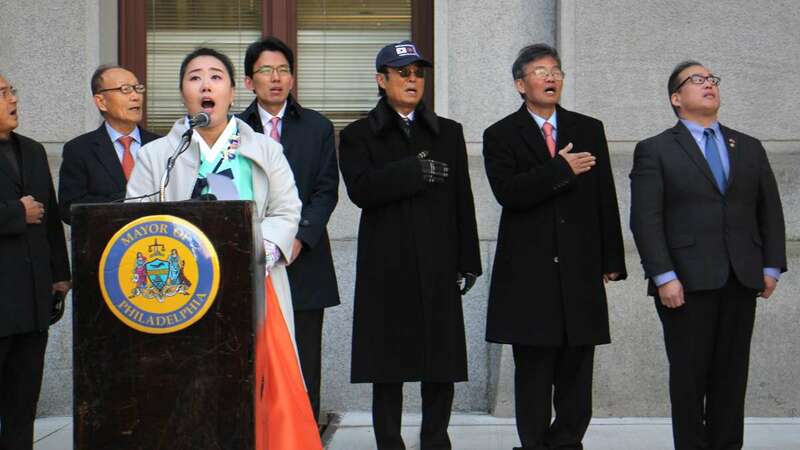 Korean American Day, which is celebrated in many states and municipalities, received national recognition in 2003 when President George W. Bush issued a proclamation. 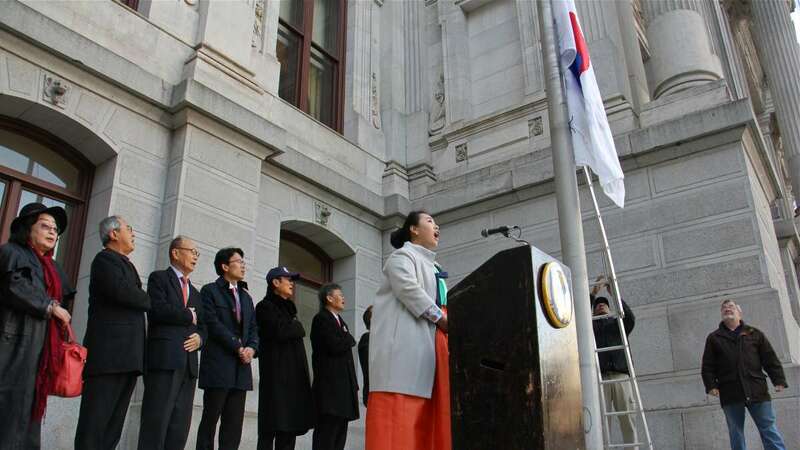 The celebration first came to Philadelphia four years ago through the efforts of City Councilman David Oh, whose parents emigrated from Korea to Philadelphia.